The health benefits of wine are often called into question. But whether or not you believe wine is good for your health or not, there is one wine fact that is 100 percent undeniable: Wine can save you from a bear. Just ask Jack Ballantyne, the Canadian gentleman (and real-life McGyver) who recently fended off a bear with nothing but a wine bottle. According to the CBC, Ballantyne, who was just minding his own business and having a tipple, was approached and attacked by a bear. And, luckily for him, his immediate instinct was to take the bottle and use it to fight the bear to the death — or, as was the case here, to the retreat. Somehow Ballantyne managed to properly fend off the bear, escaping with nothing but some minor cuts and bruises. “All he remembers is that the bear took a swipe at him, hit him and he went flying,” his sister, Rose Ballantyne, said. So, if you’re ever going into the woods of Northern Saskatoon (or any woods for that matter), bringing along some wine has never been such a good idea. You might also want to stock up on bear-strength pepper spray. Find yourself in a hairy situation? 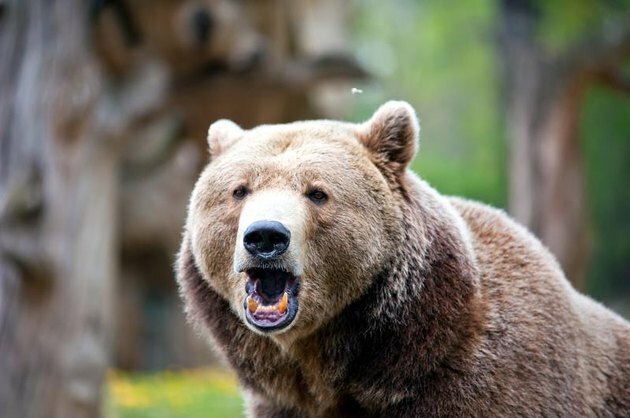 Barring a handy bottle of wine or spray, the National Park Service recommends that you speak softly to the bear while slowly waving your arms. Make yourself look as large as possible by moving to higher ground, for instance, and if the bear is not coming towards you, move slowly sideways away from the bear. Can you believe a man fought of a bear with a wine bottle? Do you think wine can be good for your health? Have you ever had any run-ins with wild animals? Tell us in the comments.